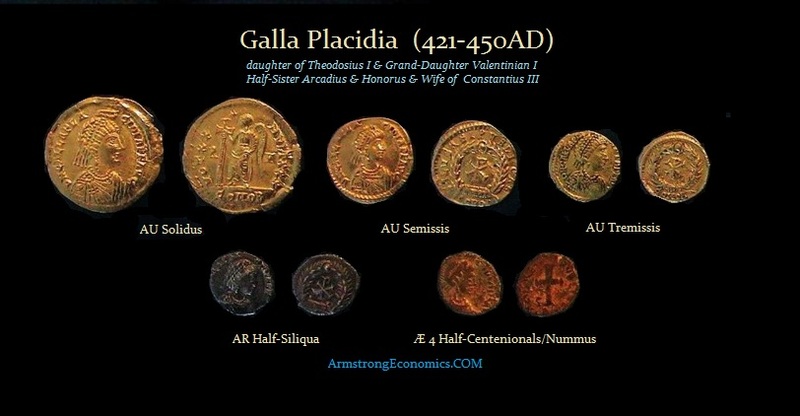 Galla Placidia was the daughter of Theodosius I and Galla and the grand-daughter of Valentinian I. She was the wife of Constantius III and also the mother of Valentinian III and the half-sister of the Emperors Arcadius and Honorius. Placidia was taken hostage by the Visigoths after Alaric’s capture of Rome in 410AD, and later married the Visigoth King Ataulf. After his murder, Roman military and political pressure induced the Visigoths to give her back for a fee of 600,000 measures of corn and land in southern Gaul. In January, Placidia was then married to Constantius III, the powerful general of Honorius who became the unrecognized Emperor of the West. Following the death of her husband, Constantius III, Placidia began to receive some increasingly unwanted attention from her half-brother Honorius. She and her children moved to Theodosius II’s court at Constantinople. After the death of Honorius, she returned to Italy as Augusta, and as regent for her son Valentinian III, a post she retained until 437 when Valentinian III turned 18 and married Licinia Eudoxia, the daughter of Theodosius II. She survived as a revered dowager Empress until 450. Placidia is perhaps best remembered today for her public works. She was a very devout Chalcedonian Christian who embarked on the construction and restoration of many important churches throughout her life. 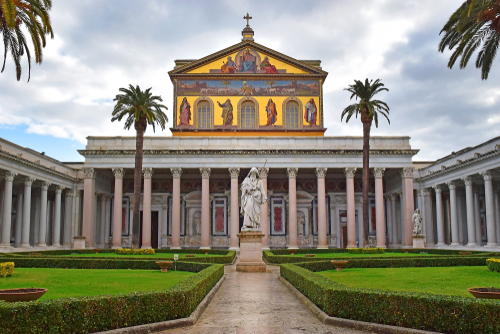 She restored and expanded the Basilica of Saint Paul Outside the Walls in Rome, which is the Basilica originally founded by the Roman Emperor Constantine I the Great over the burial place of St. Paul. 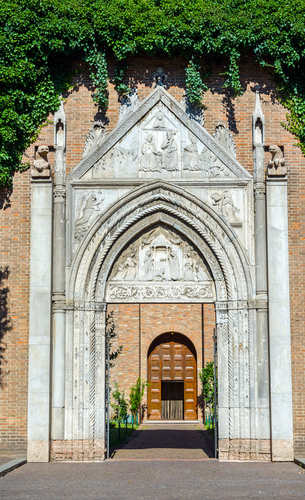 Legend was that after the Apostle’s execution, his followers erected a memorial, called a cella memoriae. It was consecrated by Pope Sylvester in 324AD. 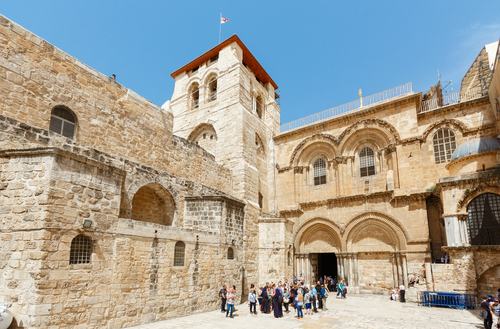 Placidia also contributed to restoring the Church of the Holy Sepulchre in Jerusalem. According to Eusebius of Caesarea, the Roman emperor Hadrian in the 2nd century AD built a temple dedicated to the goddess Venus in order to bury the cave in which Jesus had been buried. Constantine I the Great, ordered in about 325/326AD that the temple should be replaced by a church. During that construction project, Constantine’s mother, Helena, is believed to have rediscovered the tomb (Socrates Scholasticus provides a full account of the discovery). 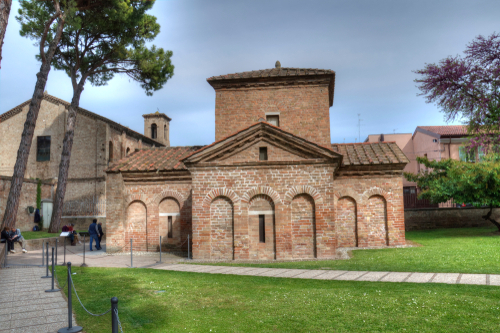 Her Mausoleum in Ravenna has been considered a UNESCO World Heritage Site, yet there also remains debate whether this was actually her tomb. There are sarcophagi containing the bodies of the members of the Theodosian dynasty, but it is not known definitive if she is among them or when they were placed in this chapel.